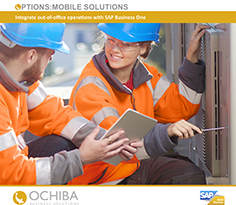 Motivity provides field service engineers on the road access to your SAP Business One system, improving both the planning and efficiency of the workforce. The SAP Business One Service Management, Stock, Projects, Sales Order, Customer Equipment Cards and Contracts are all available within Motivity and work with or without a live internet connection via phone or tablet. This keeps your workforce connected to the office and provides instant two-way communication with your field based staff. They have access to all the briefing information and forms needed to complete a job. Once complete, field staff can immediately return job forms and information, parts used, travel information and expenses. These are then used to create automatic or semi-automatic billing in SAP Business One. Paperwork is replaced by electronic job sheets so jobs can be dispatched to engineers instantly. 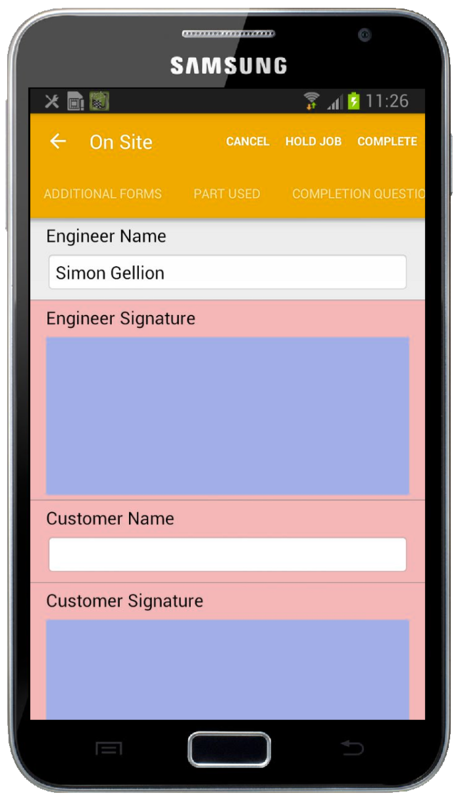 Engineers instantly receive orders and information from the office on their mobile device while on the road. They can also scan QR and bar codes, then them attach to a job. 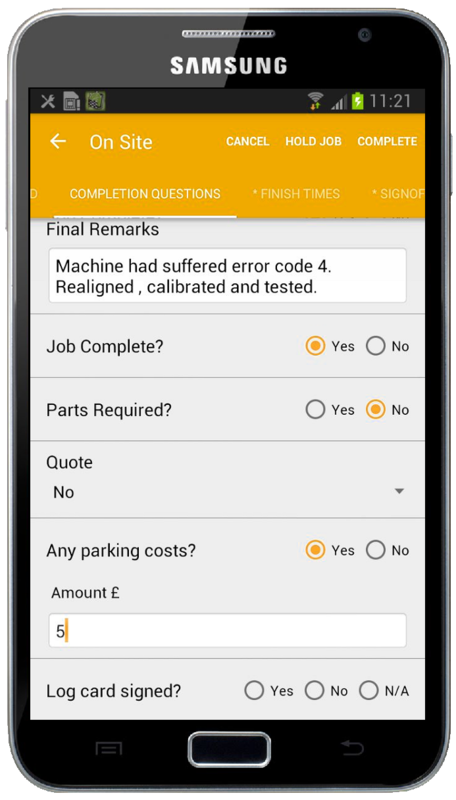 Motivity enables you to record all the work carried out on-site and attach it to the job and confirm it with photographic evidence. This means billing can be carried out on the same day as all the necessary information is instantly available to support the invoice, speeding up the payment process. 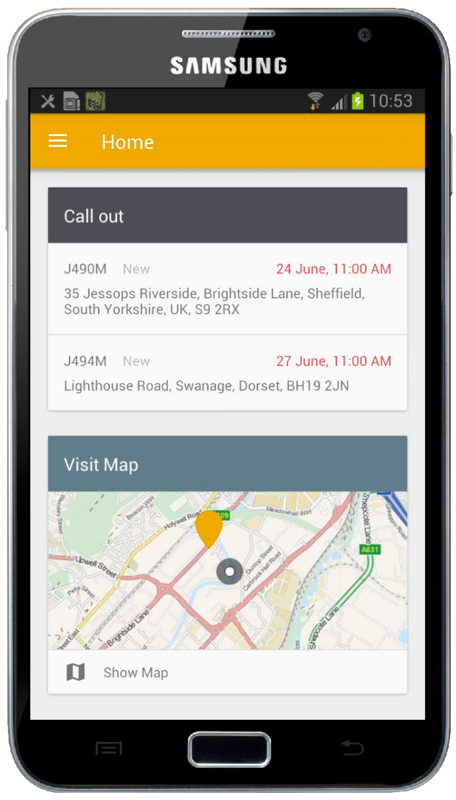 Motivity also pinpoints the exact location of your field engineers, what job they are working on, time spent on site and travelling times, which allows proactive management to maximise efficiency. Alerts can also be set up to let the office know if they don’t respond. What's going on 100% of the time - real time insight allows you to react quickly to elimiate any bottlenecks. How to streamline operations - cut paperwork, administration and travelling time. They win more contracts - provide more acurate estimates and provide compliance documents quickly. How to be more responsive - re-route engineers to urgent cases quickly and easily. How easy it is to demonstrate compliance - instant access to a reliable audit trail. The company looks more Professional - keep engineers fully informed by providing a detailed record of previous jobs. How easy it is to get up and running - we will assist with the software, hardware and training required. How intuitive it is to use - 'point and tap' and drop down lists saves on input time and reduce the chance of errors. Motivity will enable you to control your business from anywhere at anytime of the day. * one job sheet or form converted FREE of charge for each user subscription you take out e.g. 3 users = conversion of three different paper forms/job sheets. There is a one off charge for each additional form conversion over and above this. Call today on 0114 299 9430 to discover how Motivity can help you.